City go to Fratton Park today looking a third League win in a row, Pompey are struggling at the moment and hopefully City will take advantage of that. I want a City win today, we never ever stick the boot into these teams that are struggling, we always seem to be the ones they come good against. Pompey just do not look like a team at the moment, they are all over the place at times and I am hoping that our quality will shine through. We do have to be careful of Pompey though because although they are playing rubbish, they do have some good individuals that can cause problems. We really have to push hard for a win today, we must keep this momentum going before the big games come. To be honest at the risk of sounding cocky I don't think we should be having problems with the likes of Pompey, we are much better than they are at the moment. 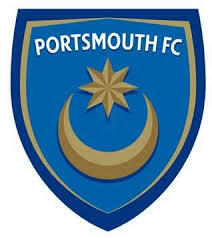 I am also not being disrespectful to Pompey, if you have seen them lately you will know why I say we should beat them. Richard Dunne is likely to sit this one out because of his proposed move to Villa, Toure is expected to take the captains arm band and Lescott is expected to make his debut in his place. Roque Santa Cruz (knee), Michael Johnson (abdominal) and Vincent Kompany (toe) are all out injured for City. Sylvinho is not match fit but may make the bench. Steve Finnan, Linvoy Primus, Papa Bouba Diop and Hermann Hreidarsson are all out with injuries for the home side. New signing Tommy Smith is likely to make is debut. 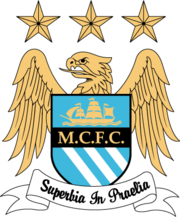 Possible Man City Line Up: Given, Richards, Toure, Lescott, Bridge, Barry, Ireland, Wright-Phillips, Robinho, Adebayor, Tevez. Possible Portsmouth Line Up: James, Mokoena, Belhadj, Kaboul, Vanden Borre, Mullins, Kranjcar, Wilson, Smith, Utaka, Piquionne. My Prediction: Pompey 0 - 2 Man City. Worth A Bet: Tevez and Ireland score in a 0 - 2 City win. Fulham next in the Cup! Do you want to be a City film star? I need five Man City fans to have their say! City get tv time in the Cup! Watch the players training and have some fun!